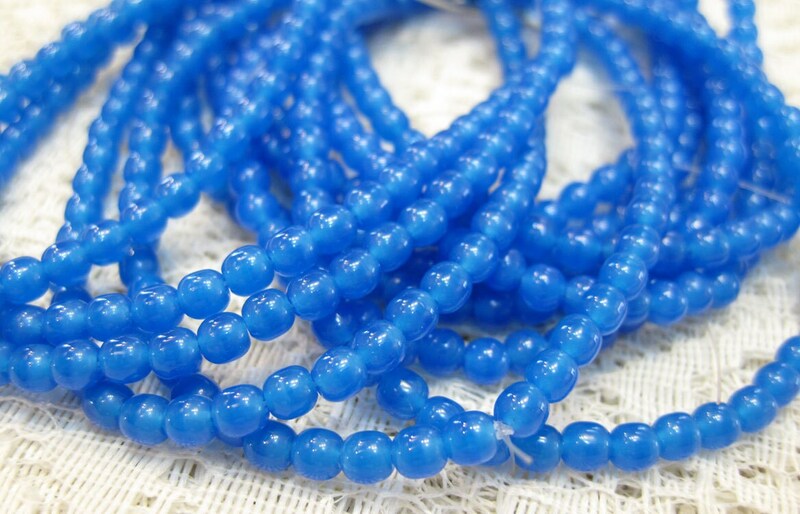 Sapphire opal Czech pressed glass 4mm round Druk beads. There are 50 beads per strand. Love the color. Can't wait to use in a project.